In the Joint Project, European NGOs and research institutions cooperate since 2003 on safe and sustainable energy issues with a focus on antinuclear activities in Central and Eastern Europe. The long-term goals of the Joint Project are a nuclear phase-out in Europe (especially of old reactors), no new-build nuclear power plants, no renaissance of nuclear energy, and no lifetime extension of old reactors without adequate public participation. By producing materials like brochures, websites etc. for anti-nuclear NGOs, the Joint Project contributes to their political work. 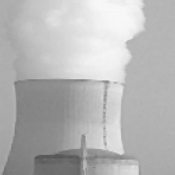 In 2013, the Joint Project focused on costs of nuclear energy and on transparency and critical evaluation of the stress tests for nuclear power plants. A brochure was published on "Costs of Nuclear Power". Costs of nuclear new-build, radioactive waste storage and decommissioning of shutdown plants, and also costs of nuclear accidents and liability are discussed, with special focus on the situation in the countries of the Joint Project NGOs (Bulgaria, Czech Republic, Hungary, Poland, Romania). The brochure can be downloaded. For four countries, fact sheets on stress tests will be produced to give a quick background on the current status. More results can be found on our website www.joint-project.org.